Whether it’s 7:00 AM or 11:00 PM – We are at your service always! Locked out of your car? Lost keys to your apartment? Our 24 hour locksmiths are prepared to assist you with all your emergency locksmith needs. Whether you find yourself locked out of your vehicle or home, or you’ve recently experienced a break-in and your lock is damaged, we will provide the reliable and quick emergency assistance you need. Our 24 hour emergency locksmith services are available every day. We provide locksmith services to residential and commercial clients throughout New York City, including Manhattan, Queens, Brooklyn, the Bronx and Staten Island. When and where you need us – we are there! 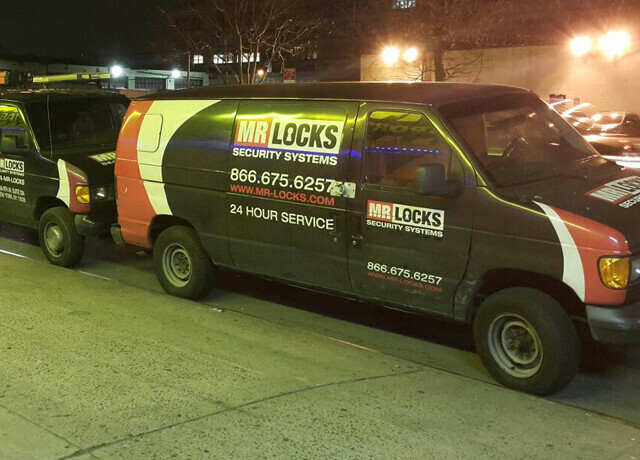 With our response time of 15-30 minutes, Mr. Locks is the only locksmith company to call. Car locksmith – Ignition switch repair, car door lock repair, car key replacement and more. Locks and Keys – Rekey or change locks, as well as new deadbolt / cylinder / lock installation in your apartment / office. Our highly qualified and experienced locksmiths know how to solve any lock and key problems and get you out of any emergency. They accomplish all emergency locksmith tasks using the most advanced locksmith tools and equipment, to provide the highest quality of locksmith services. We provide 24/7 New York locksmith services and emergency services with the fastest response time imaginable. Mr. Locks provides emergency locksmith services all over New York City area including Manhattan, Queens, Brooklyn, The Bronx and Staten Island. Whatever your locksmith emergency is, remember that our expert locksmiths are only 15-30 minutes away. Give us a call anytime, including weekends and holidays.